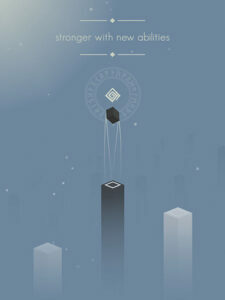 Bluk is a acrade puzzle game which tests the players ability to aim using the sling shot method. By landing on the middle of a pillar. 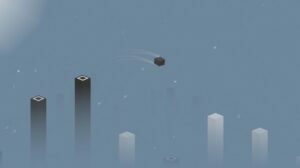 You jump one pillar at a time with minimal thrust, and a 45•angle, this will give you optimal points but this process goes for a toss when the distance between the pillars and height of the pillars varies. 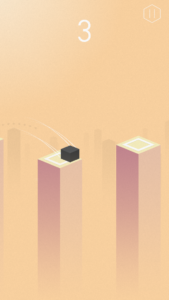 The player can slingshot the rock unusually high upwards, this process will show the pillars ahead and give the player some extra room to calculate the jump. 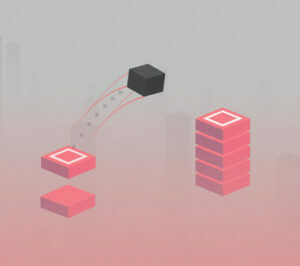 First we can thrust the rock vertically upwards and view the next 2 to three pillars and then use the max thrust method to cross multiple pillars at a time & to gain maximum points, we can aim to land on the middle of the pillar. 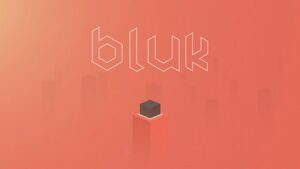 Bluk is a fun game to kill your time, along with some very very soothing music, this game is a must have for lonely travellers or adventure seekers.